The restaurant allows its diners to command a great vista over Tamsui River and Quanyin Mountain, watch the glory of sunset and intoxicating nightscapes of Taipei City. On top of the view, our chef, a master of the most authentic Zhejiang culinary art (such as braising and stewing with varied intensity of fire subtle in distinction) serves the most gourmet Zhejiang cuisine. You can taste the patience, ingenuity, and care devoted to every dish. The culinary team strives to present Zhejiang cuisine at its best and update menus from time to time to pamper the taste buds of connoisseurs. 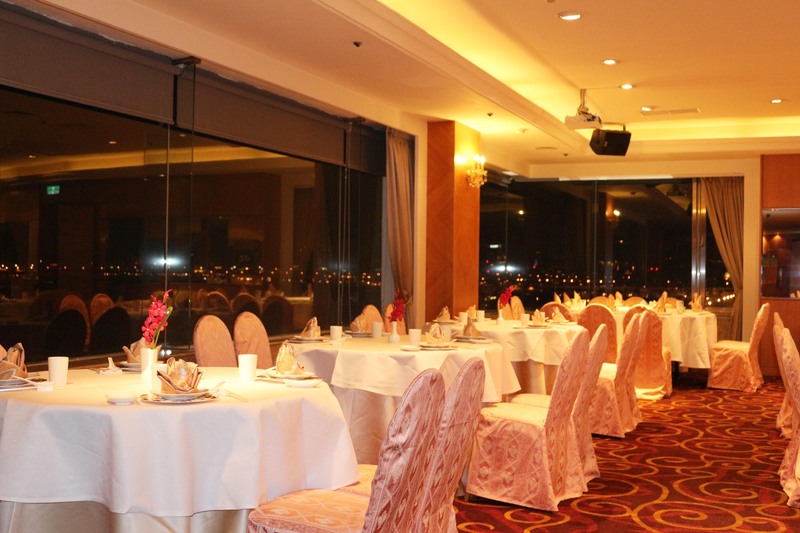 As Hotel Riverview rises above the bustle of Ximen commercial hub, the restaurant is a great place for dates and get-togethers.